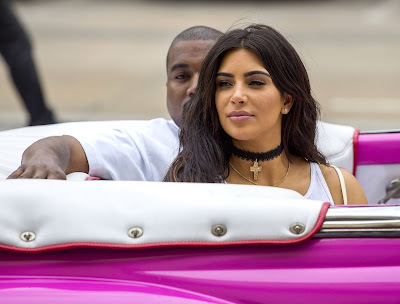 Choker neckpiece is on trend these days. And why not. 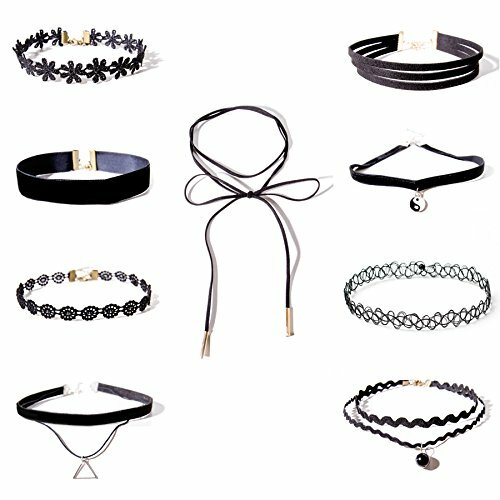 Choker jewelry is one of the most versatile pieces of jewelry. These chunky neckpieces were perfect when seen in Padmavati movie. Those gigantic choker neckpieces look great on screen. But if you are given to wear them in real life, then you will run away. They are too heavy and not perfect to be even on your own weddings. 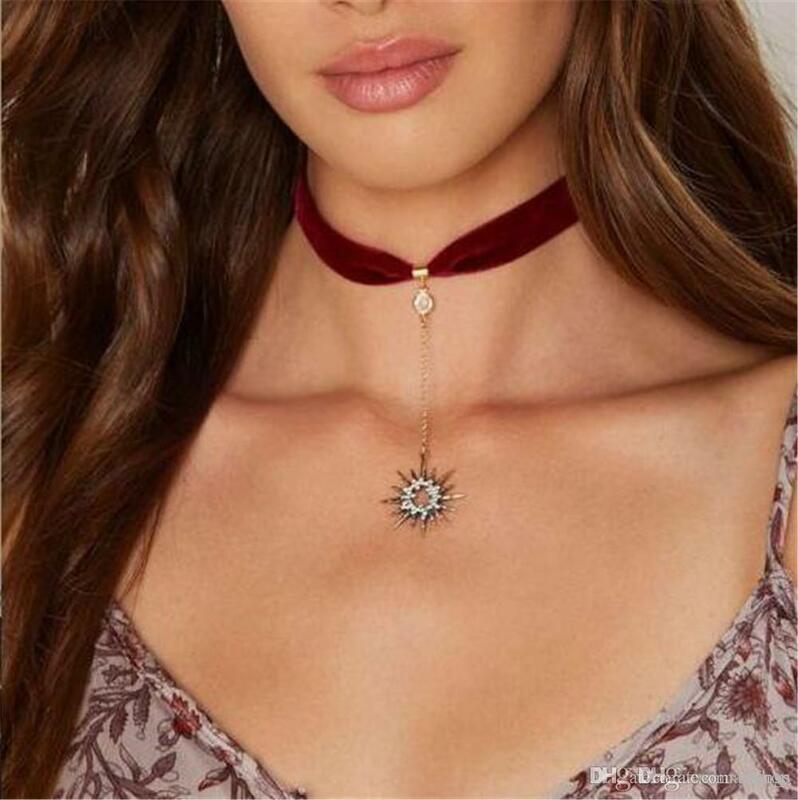 And you will be amazed to know that quite simple and easy peasy choker necklaces also exist. And they are perfect to be worn on daily basis. 1.Flower Choker for Boho Look – If you are aiming for a boho look, then wear a floral skirts with crop top and then pair the same with flower choker. You can also wear coloured stone choker. They will be perfect for a boho look. 2.Simple Black Choker for Formal Look – In order to wear a formal look, wear a simple one tired black choker. This is perfect to add color to your formal look and stay minimal as well. 3.Add fun to your formal look with Long Tie up Chokers – Why not play something different with your regular formal look? Wear long chokers and tie them up as per your choice. This will be perfect to add some style and drama to your formal outfit. 4.Carefree look with your Shorts – How about adding an element of choker with your carefree shorts look. Long choker necklace can be worn in numerous ways to add some fun element with your shorts style. 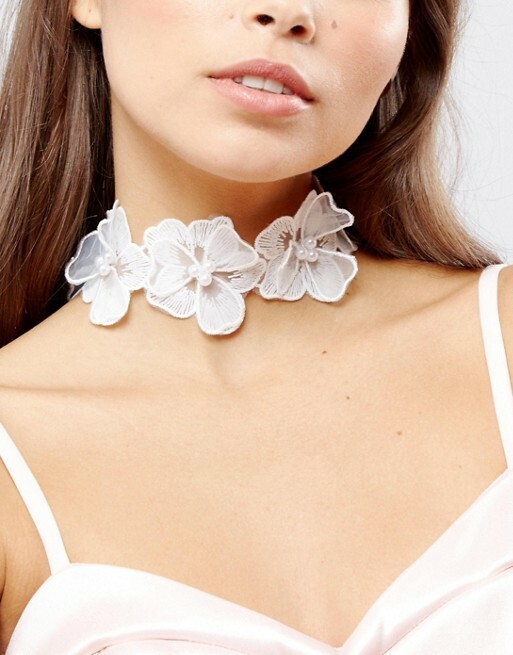 5.Lace Choker for a date night – When you want to look all feminine and want to bring out the style and elegance in you, then lace chokers are perfect for that. 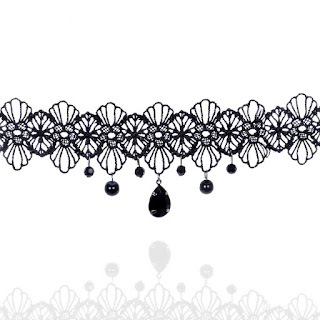 Lace chokers will be great when worn with short skirts or even dresses. 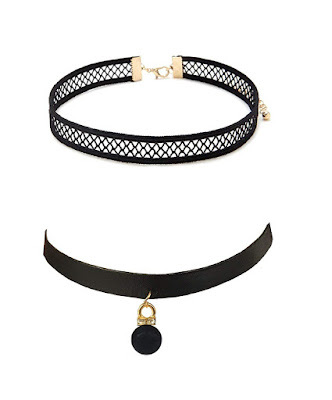 6.Metallic Choker for Biker Girls – Just to bring that badass biker look out wear metallic chokers. They go quite well with denims and black colour. 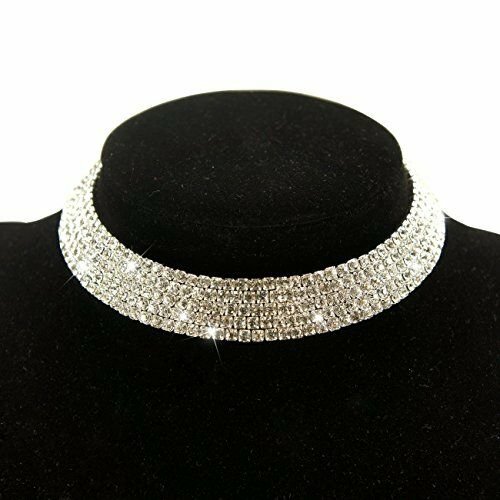 7.Sparkling Choker for Glam Party Look – For those dressier parties and glam look, wear a sparkling choker. They will be perfect to draw attention towards your neckline and is perfect to be worn in parties and events. 8.Velvet Choker for everyday look – Velvet chokers are perfect for each and every occasions. They are quite versatile and can be worn in multiple ways. 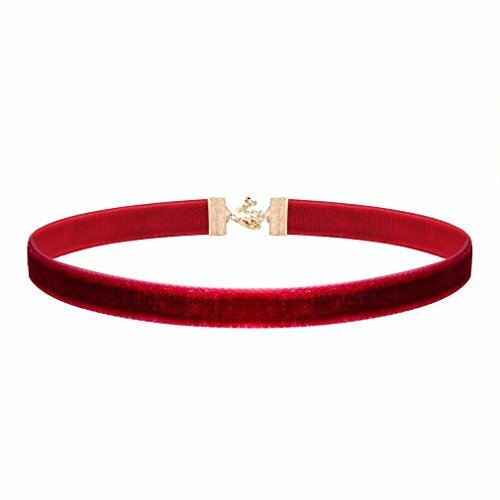 Wear plain solid coloured velvet choker for everyday basics. You can even dress up the outfit if you wear coloured velvet chokers with similar coloured dress. 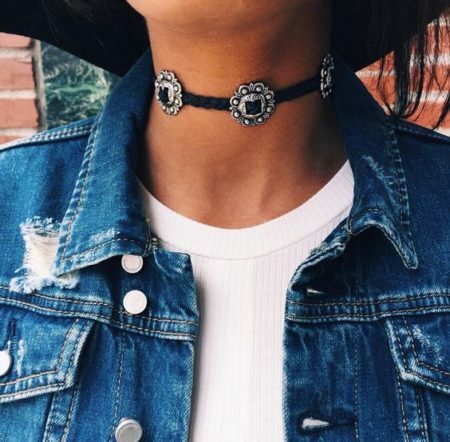 9.Vintage Choker for Stand out look – If you want to stand out from your original clothes then wear vintage chokers. They are perfect to be worn on everyday basis and also they add a style element to it and are perfect to be worn on different occasions. 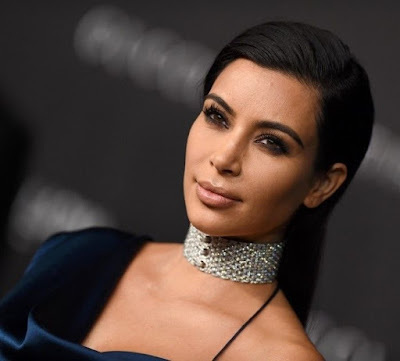 10.Trendy Choker look – How to spice up your leather jackets, leather skirts, off shoulder tops and even strapless dresses. 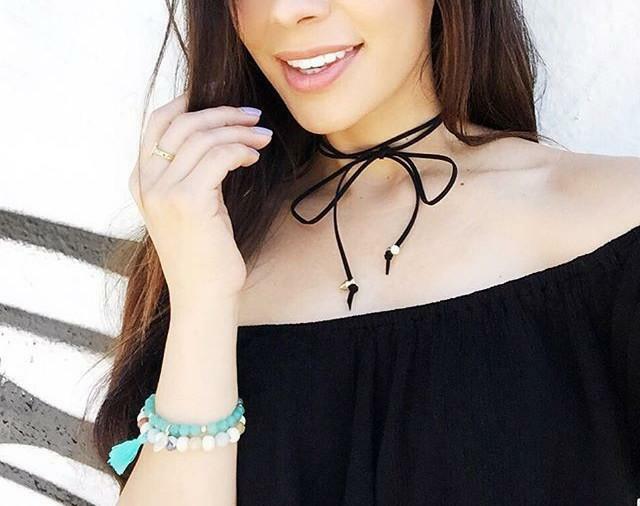 Trendy chokers can be of different types. Be it multi layered chokers or chokers with a combination of metals and velvet looks great together. 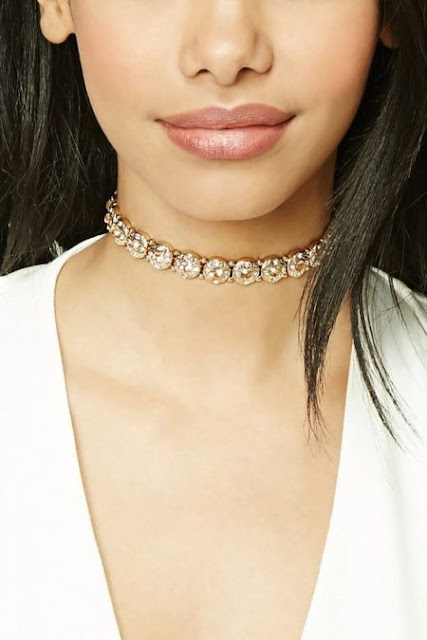 11.Layered Choker – Layered chokers are perfect for playing dress up. They can be worn with long maxi dresses and even with shorter ones as well. 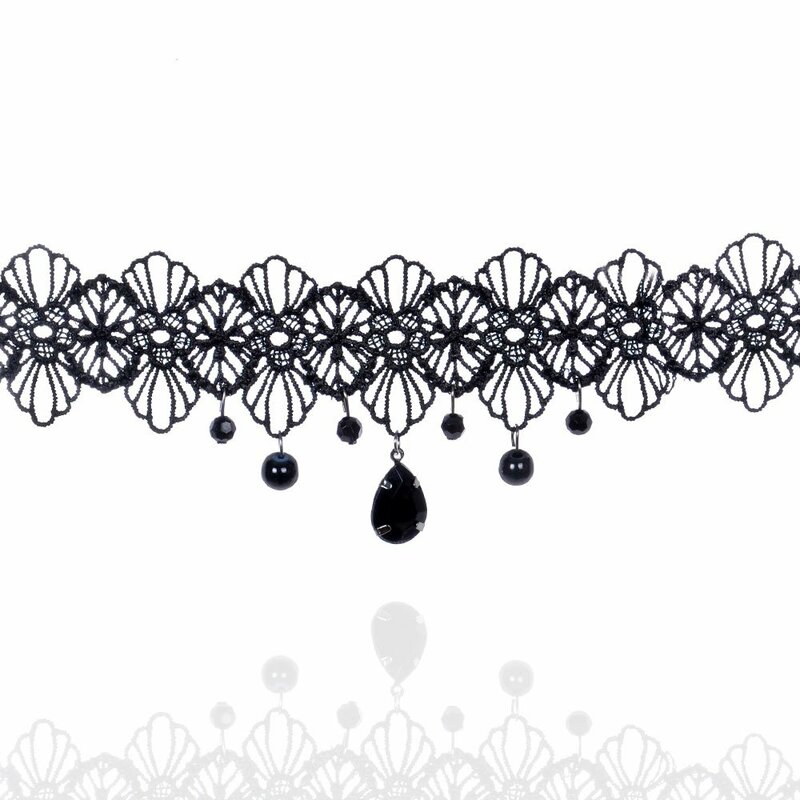 12.Stoned Choker Look – And if you want to become the queen of the evening, then stoned choker look are perfect. This can be worn with numerous outfits. 13.Minimalistic Look – Wear a simple stoned choker look. This is perfect to be worn with different outfits. Chokers are beautiful when styled right.